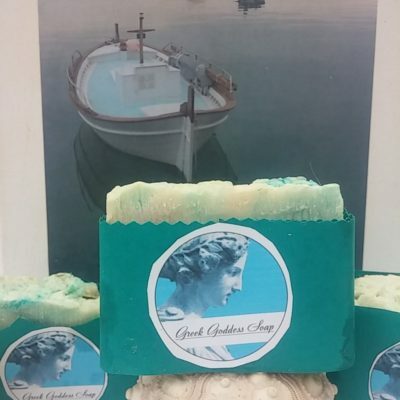 Indulge and rejuvenate like a Greek goddess with these all natural organic soaps made with herbs and oils imported from Greece– pure, elemental, and immortal! 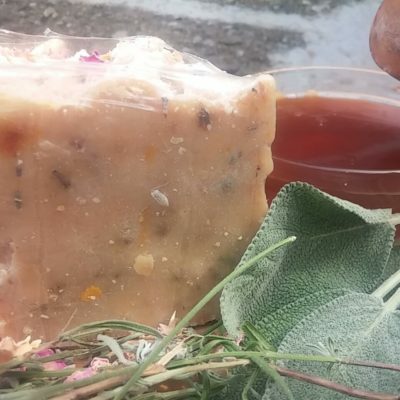 Our soaps are natural and nourishing. They cleanse without stripping. 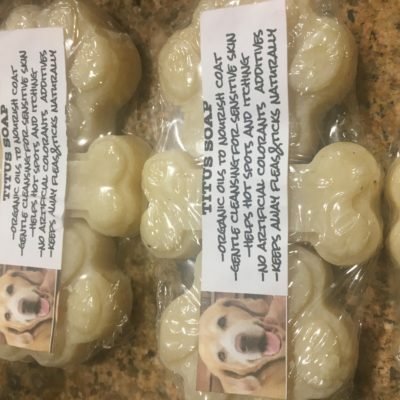 Luscious enough to eat! 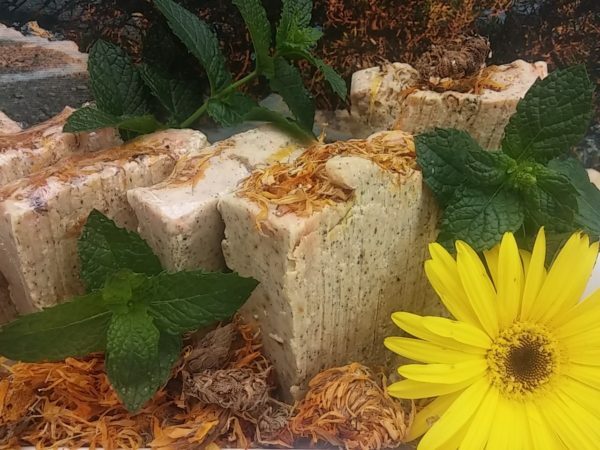 Our calendula spearmint soap features calendula from the countryside and freshly ground spearmint. Included are ground flax seeds for gentle exfoliation. A rich blend of olive oil, coconut oil, avocado oil, and castor oils with a pinch of bentonite green clay perfects the mix. The scent is of fresh spearmint and calendula with a touch of sweet orange oil. Lathering in it makes you feel like rolling in a sun-drenched valley of wildflowers. No artificial additives or colors. Approximately 8 ounces. Free shipping in the continental US! $7.00 per bar. 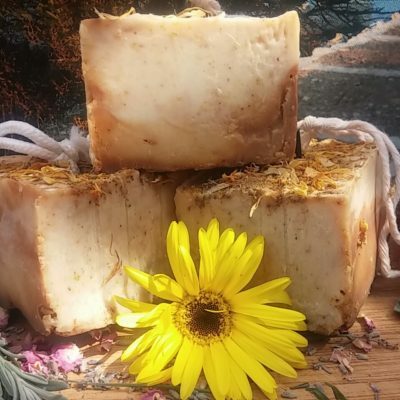 Ingredients: Saponified olive oil, coconut oil, avodaco oil, castor oil, betonite green clay, lye, water, ground spearmint, ground calendula, ground flax seeds, essential oil blend of sweet orange.